Heating systems of different shapes and sizes. Used to burn wood, coal, corn, round beans, waste oil, oil, smoke and waste products. 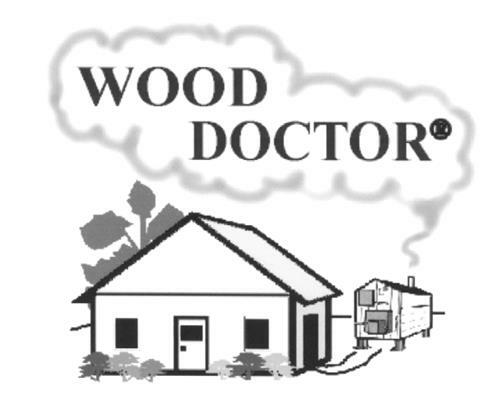 On Wednesday, August 13, 2003, a canadian trademark registration was filed for the above pictured logo by OUTSIDE HEATING SYSTEM LTD. 18579 Highway # 2, P.O. BOX 567, STEWIACKE, NOVA SCOTIA, CANADA B0N2J0. The Canadian IP office has given the trademark application number of 1187385. The current status of this trademark filing is Interruption of proceeding. The trademark is filed in the description of Heating systems of different shapes and sizes. Used to burn wood, coal, corn, round beans, waste oil, oil, smoke and waste products. .
Mark Disclaimer: The right to the exclusive use of the words WOOD and DOCTOR is disclaimed apart from the trade-mark. (1) - Heating systems of different shapes and sizes. Used to burn wood, coal, corn, round beans, waste oil, oil, smoke and waste products.